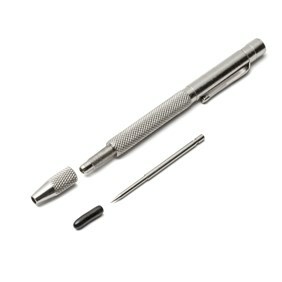 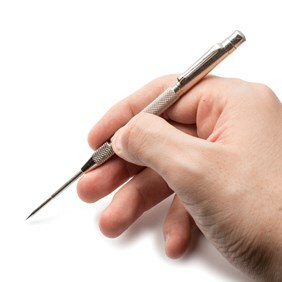 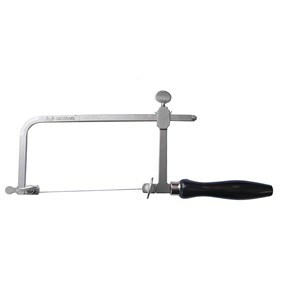 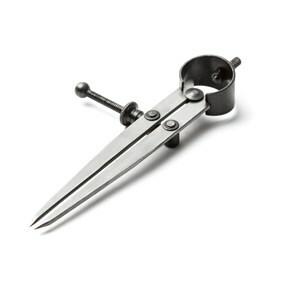 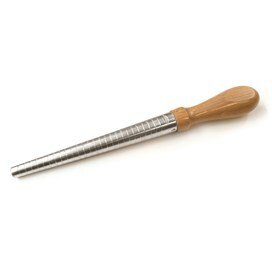 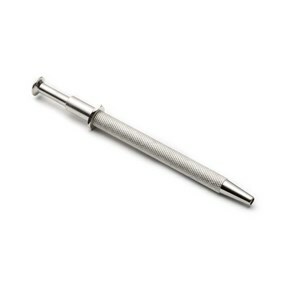 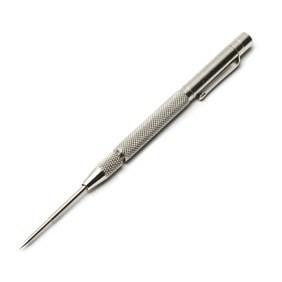 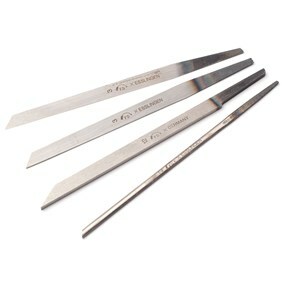 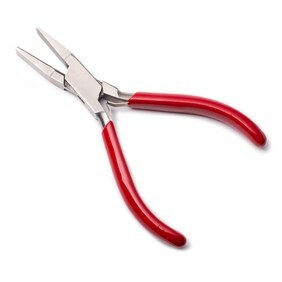 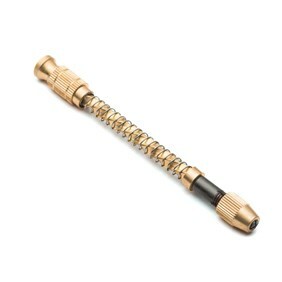 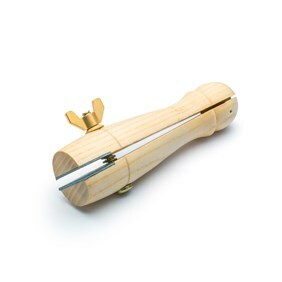 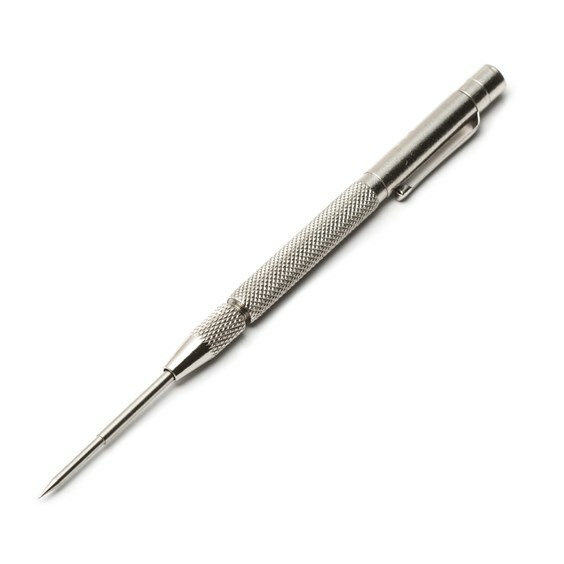 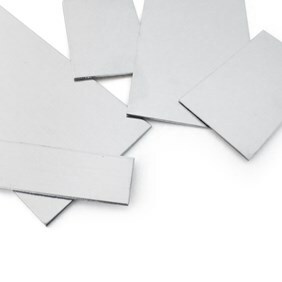 This good quality scriber is essential for all silversmiths making score marks on sheet metal where pen and pencil marks invariably wear away as you grip and work your piece. 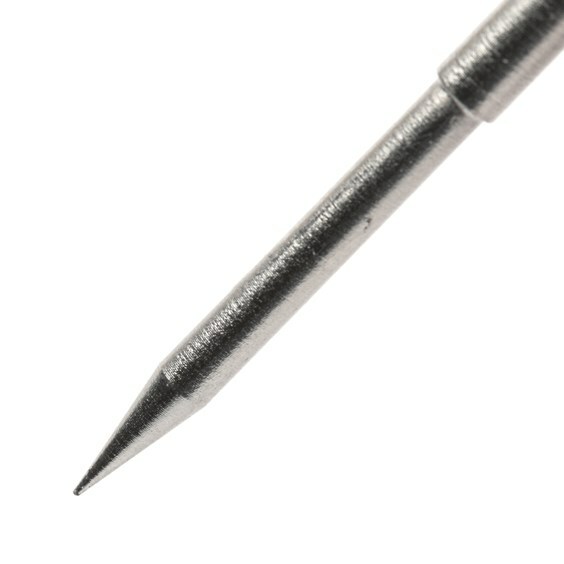 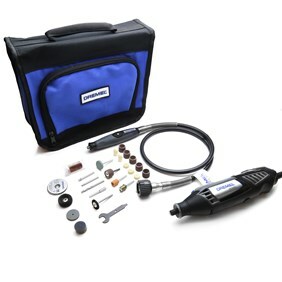 The sharpened steel tip on this pen style tool means you can easily draw out your designs with pinpoint accuracy before cutting, bending or forming making it invaluable for marking out shapes to be cut or pierced and for marking straight lines and geometric shapes with a steel rule. It can also be used to create interesting patterns and textures which can be enhanced using liver of sulphur.